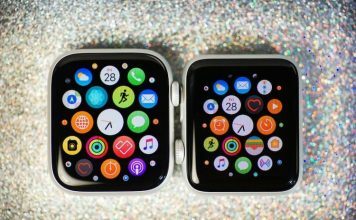 The first place that you should look when you are shopping for Apple Watch Series 4 bands is Apple itself. The company sells a number of different styles of bands. Whether you want a sports band, sports loop band, stainless steel band, or a leather band, Apple has got you covered. Yes, the company prices its band a little on the higher side, however, just like everything else it sells, its bands are impeccably designed and feature high-quality material. My favorite is the Milanese stainless steel band which looks premium. If you can afford them, you should definitely check official Apple Watch Series 4 bands from Apple. 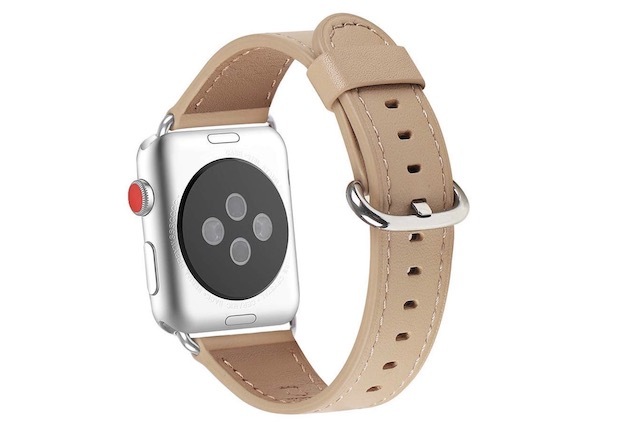 When it comes to third-party bands, one of my favorites is the OROBAY Apple Watch Series 4 band which brings a stainless steel band which looks eerily similar to the Apple’s own Milanese steel band but costs less than a tenth of its price. The band features a fully magnetic clasp which makes it easy to adjust the size of the strap thereby ensuring that the watch is a perfect fit. The company also provides eighteen months of no questions asked warranty so you don’t have to worry about the quality of material that’s used here. 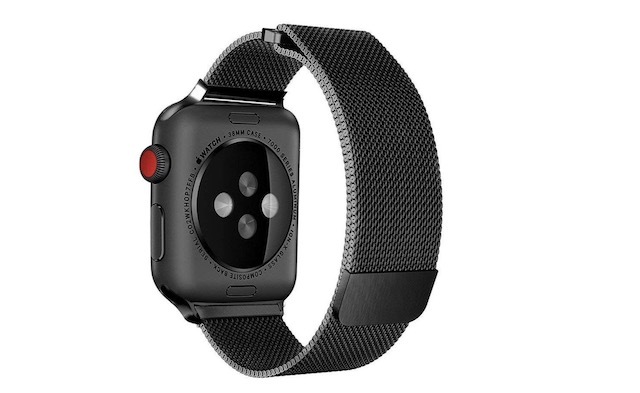 This band is great for someone who loves Apple’s Milanese stainless steel band but cannot justify spending $150 on it. 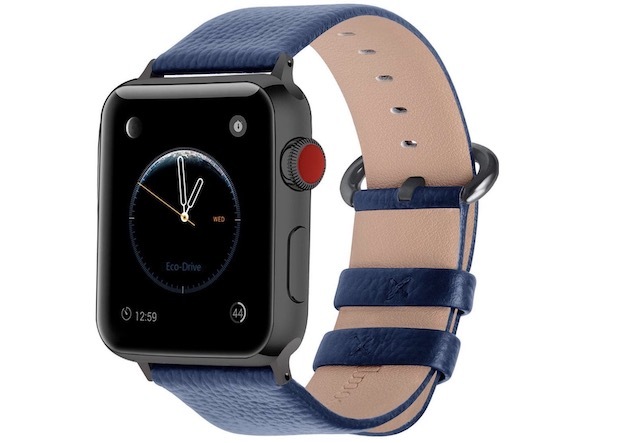 Another good Apple Watch Series 4 replacement band that you can buy is the MARGE PLUS genuine leather replacement band. The band is made of soft top genuine leather and uses stainless steel polished silver-colored classic buckle. 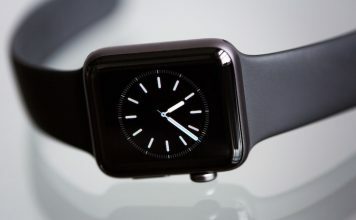 It also has an anti-slip and sweat-absorbent coating on its inner side making it sit comfortably on your wrist. I really like the stitched pattern along the edges as it gives this watch quite a premium look. The band is available for 40 mm and 44 mm sizes and comes in five different colors including black, brown, light brown, red, and sapphire blue. If you love the sports loop bands sold by Apple then you are going to love this nylon sports band from SYRE. The band is using soft and durable high-quality nylon material in a double-layer nylon weave pattern which provides soft cushioning on the skin while allowing moisture to escape. There are literally tens of colors to choose from which include shades of blue, orange, black, and more. 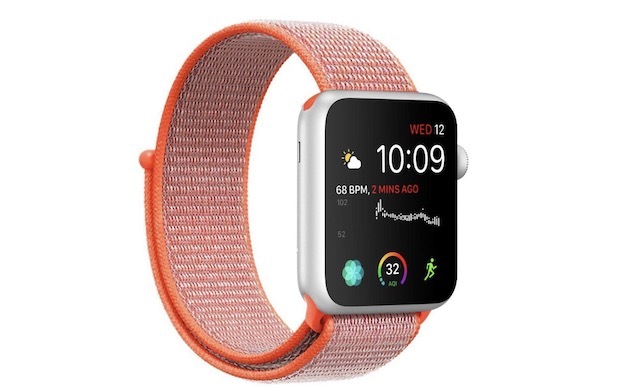 Just like the OROBOY band, the SYRE nylon sports band for Apple Watch Series 4 comes with an eighteen-month warranty giving users a peace of mind while buying this product. If you love the traditional buckle and clasp design of leather bands, this is just the band for you. The band uses top grain leather material which brings anti-slip and anti-sweat properties. The material used in the band is both durable and comfortable to wear. You get tens of different colors to choose from, each one offering a unique combination of band and buckle colors. I also like the stitching pattern flanking the edges of this band. 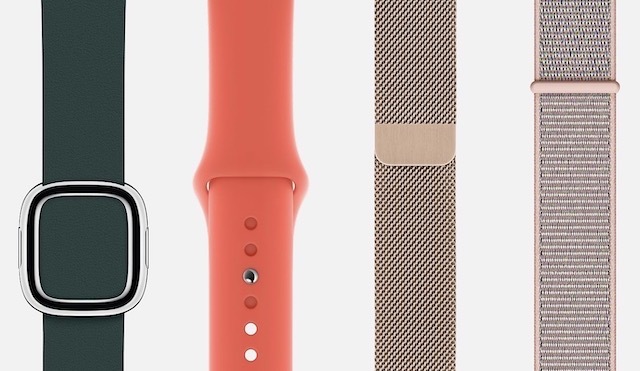 Overall, I find this band to be one of the most attractive looking Apple Watch Series 4 bands out there. 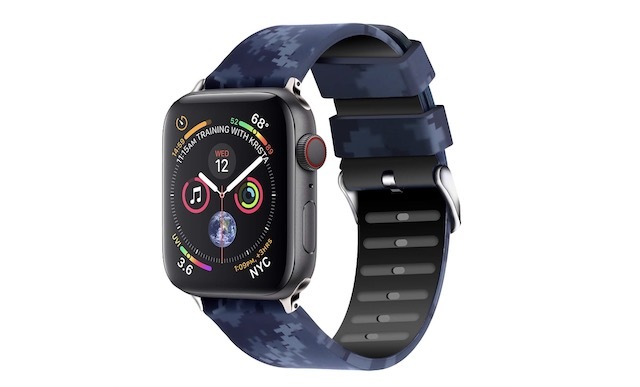 The RUOQINI Silicone bands for Apple Watch Series 4 is the cheapest band on this list and is best for people looking for affordable and light-weight bands. This one won’t make any fashion statement for you, however, its use of lightweight silicone material makes it very comfortable to wear, even for long hours. The silicone also makes this band very durable and it can easily withstand water submersion without incurring any damage. The band is available in multiple colors including lavender, turquoise, pink, red, white, and more. 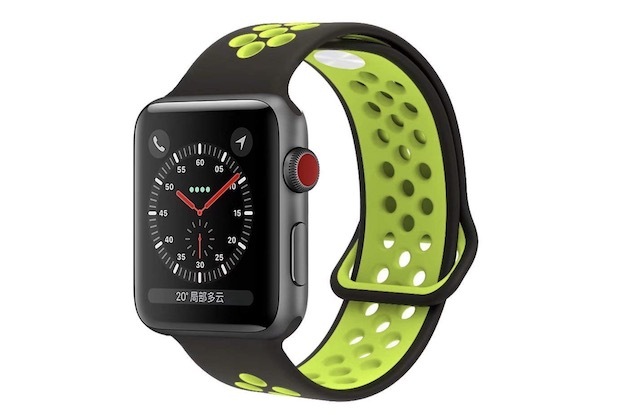 The YC YANC sports band for Apple Watch Series 4 features a look similar to the Nike+ band which is sold by Apple. 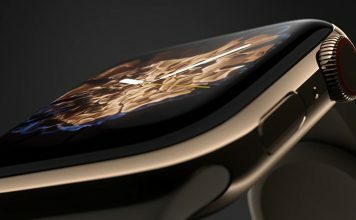 What this means is that the band sports unique circular holes which make the band very light. The band is using high-quality silicone material with a smooth finish which is both soft to touch and durable. The buckles are made of hypoallergenic nickel-free stainless steel which lasts long without losing its shine. 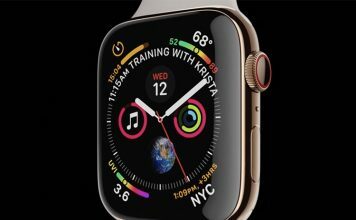 Just like it is with all the other Apple Watch Series 4 bands on this list, this one also comes in various colors allowing you to choose the one which matches your style. 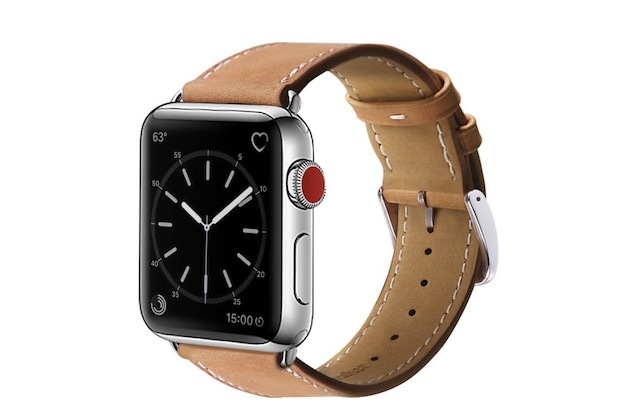 If you are a fan of classic leather bands than the Fullmosa leather band for Apple Watch Series 4 is just the right thing for you. The leather used here comes from genuine top grade cowhide which is soft, durable, and develops its own unique character as the time passes. The band is also using high-quality stainless steel buckles thereby making sure that your watch always stays where it is supposed to be. Available in tens of different colors, the bands come in both 40 mm and 44 mm sizes. I really love the classic leather looks of this band and recommend that you check it out. 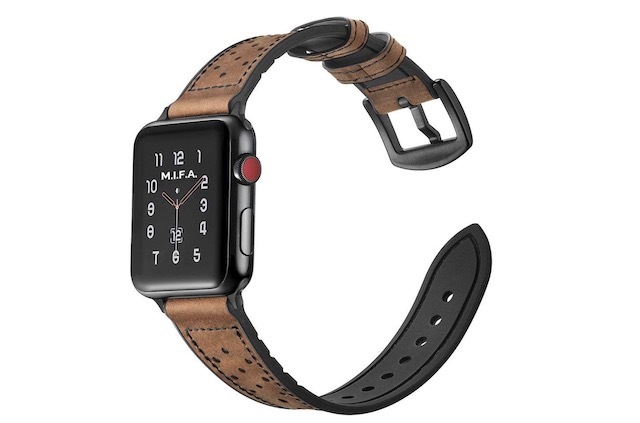 The Mifa hybrid leather band for Apple Watch Series 4 is great for people who like to give their Apple Watch Series 4 a rugged look. The band uses 3 mm thick strap made of vintage dark brown leather with sweat-proof black silicone strap backing and anodized black stainless steel clasp. While the outer leather layer gives this band a rugged look, the inner silicone layer ensures that it is also comfortable to wear. The bands come in different colors and design options. I love the dark brown band with a perforated design which is shown in the picture below. I highly recommend this watch band and you should definitely check it out. If you want something a little more designer, check out the Greatfine Apple Watch Series 4 bands. The bands feature various kinds of printed design on top including floral, anamorphic, modern, shapes, and more. It is made of high-quality silicone material which is both soft to touch and durable. You can wear these bands for long hours without feeling any discomfort or irritation. The bands are also very lightweight hence they do not add much bulk to the device. Overall, I quite like them and if you love designer bands, definitely give them a try. That ends our list of the best Apple Watch Series 4 replacement bands that you can buy. Whether you like metal bands, silicone bands, or leather band, you will find one that meets your need here. Do check the list out and let us know which is your Apple Watch Series 4 band by writing in the comments section below. If you want to share your own Apple Watch Series 4 band suggestions, drop them down too. 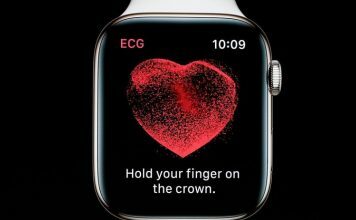 What Does the Apple Watch Series 4’s FDA Certification Actually Mean?